This outfit has basically been my spring uniform and don’t see it ending as we get into summer. 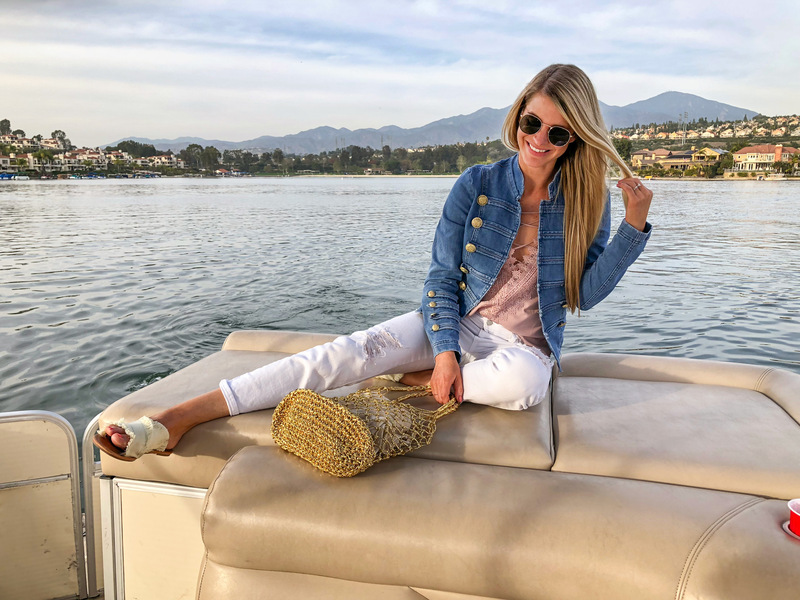 My staples have been a cami or tank, distressed denim, straw bag, comfy mules and a great denim jacket to tie it all together. You wouldn’t know it from our smiles in these pictures, but we’re going through a sleep regression over here.